Bachelor study programs under the Faculty of Life Sciences & Technology are Pharmaceutical Engineering, Food Technology, Biomedical Engineering, and Sustainable Energy & Environment. Ir. Abdullah Muzi M., M.P. Dr. Irvan S. K., ST., MSc. 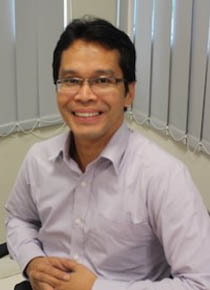 Gerald J. Goenawan, S.T., B.Eng.